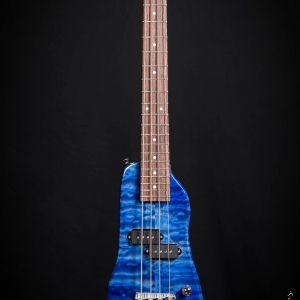 Standard - 1st Fret 15/16" - 12th Fret 1"
Thinner - 1st Fret 7/8" - 12th Fret 15/16"
Ever wanted to easily take your electric bass guitar with you when you travel? 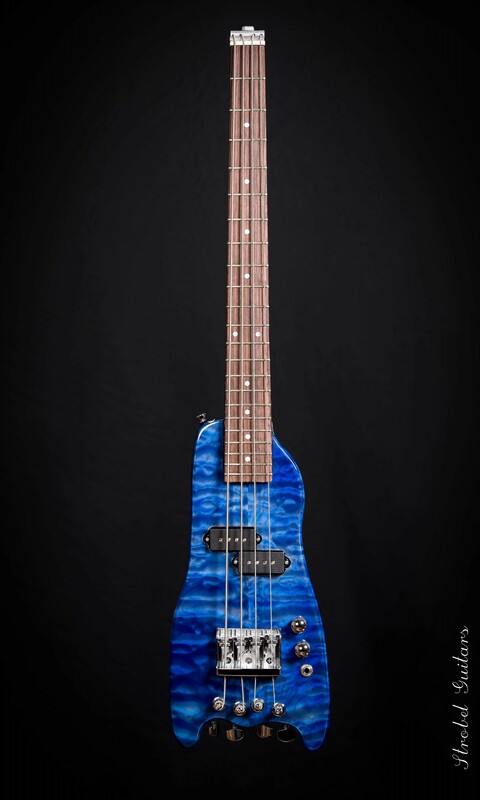 Now you can with the new Rambler® Custom Bass! 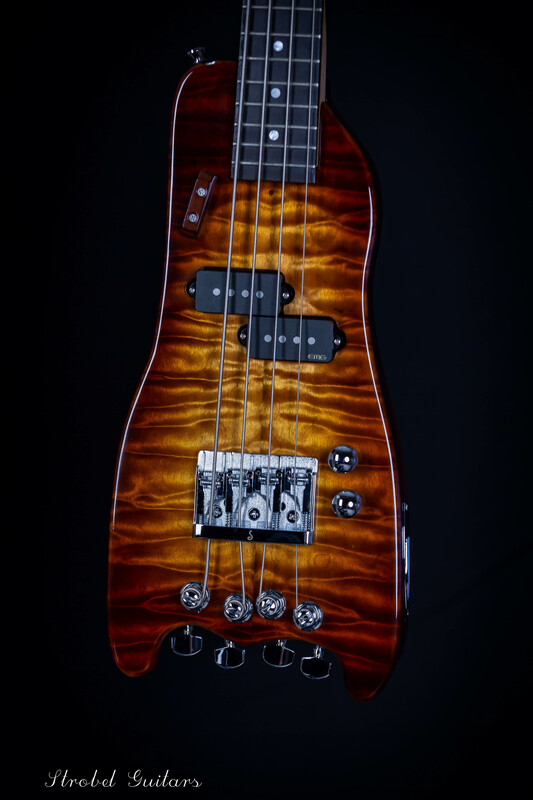 The new Strobel Custom Rambler® Bass breaks down to fit in your luggage. 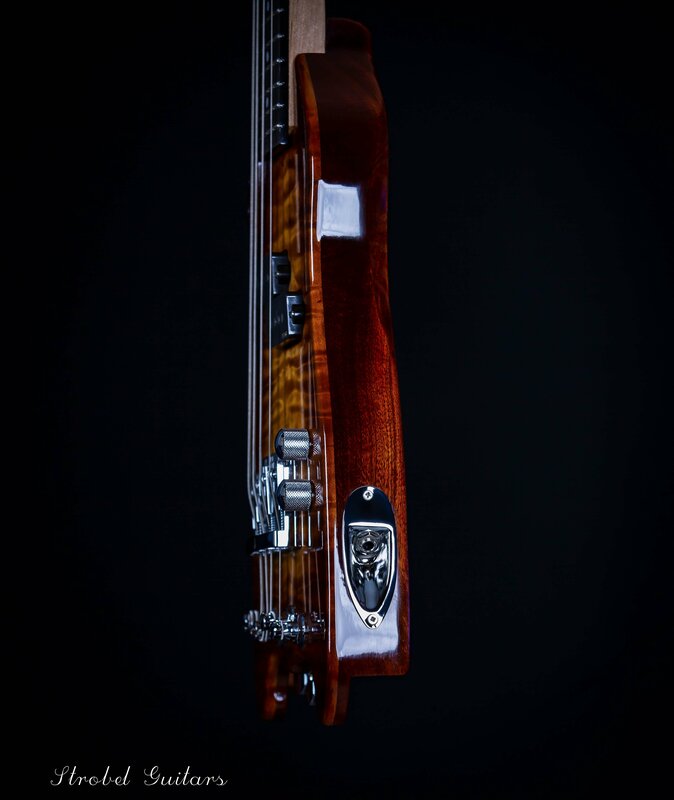 Simply remove the patented StringKeeper™ to wrap the strings around the body and take off the neck by loosening four thumbwheels. 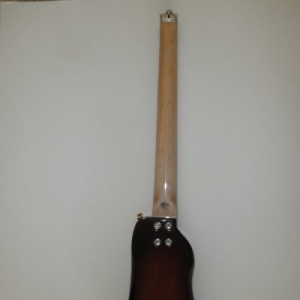 The body and neck can then be stowed separately for travel. 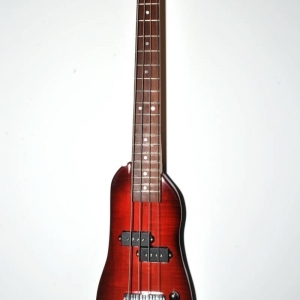 The Rambler® Travel Bass goes back together in a less than two minutes with no tools required. 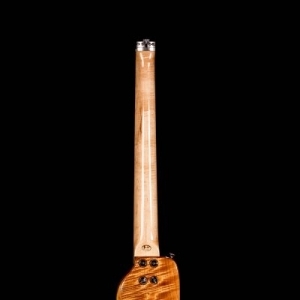 The Rambler® Bass is a professional electric bass guitar introduced at the Newport Guitar Festival in April 2010. 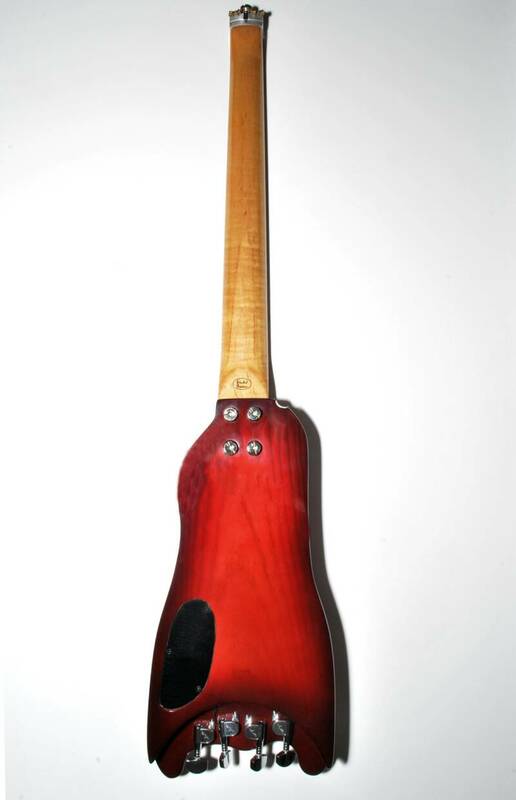 Features include a full scale 34” neck with the nut at the third fret. 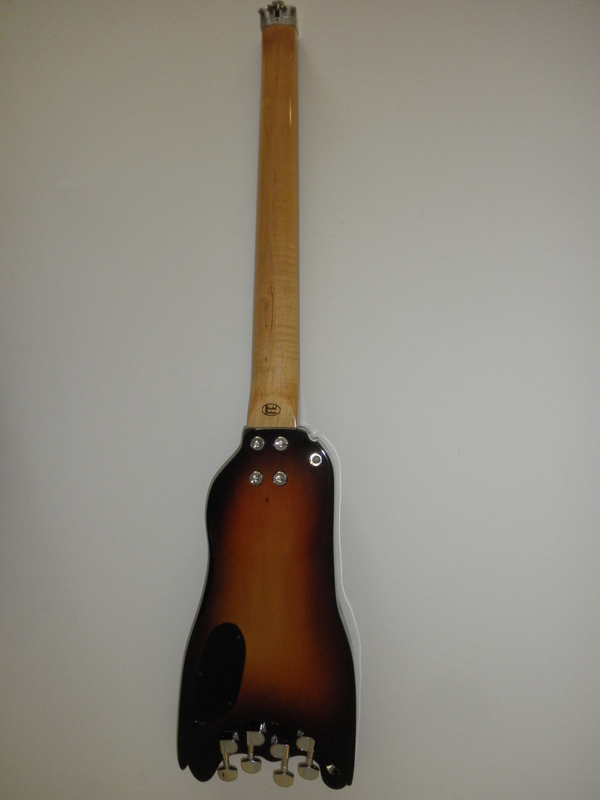 Overall length of the Rambler® Bass is 35” when assembled. 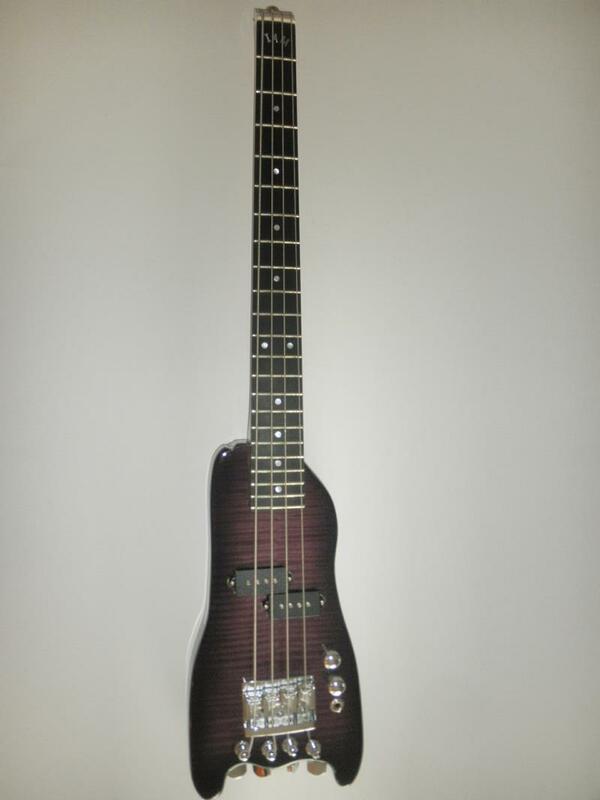 The Bass plays and sounds like a Fender Precision Bass. 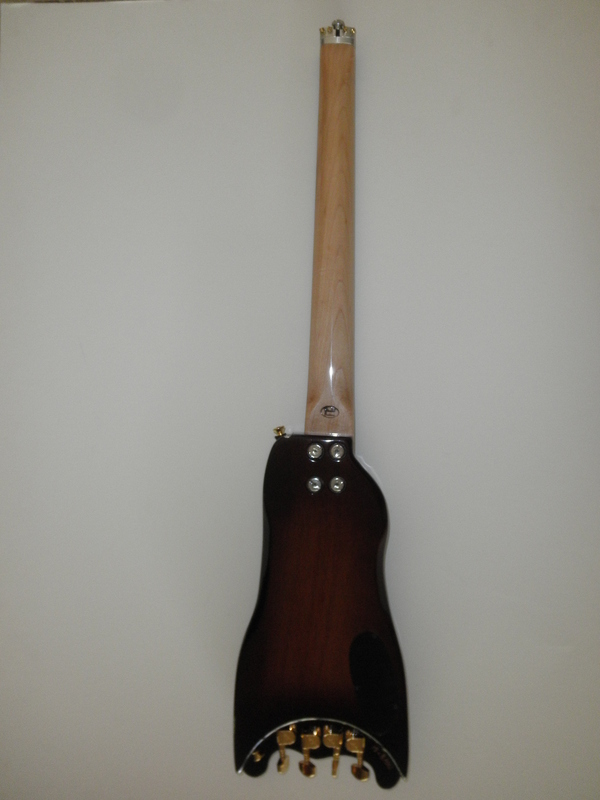 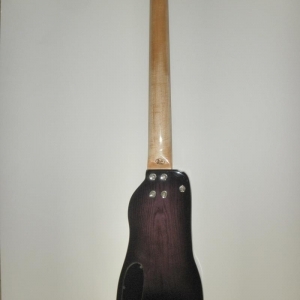 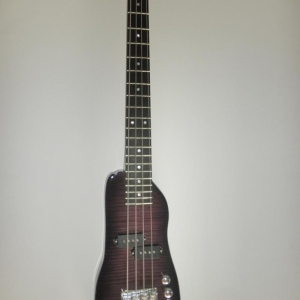 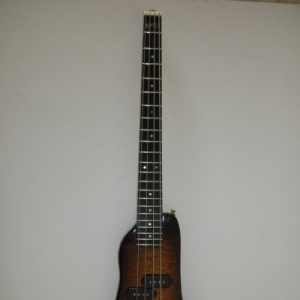 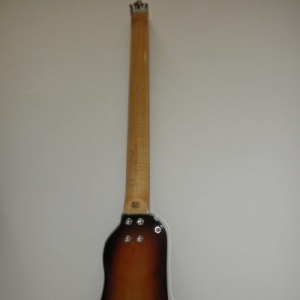 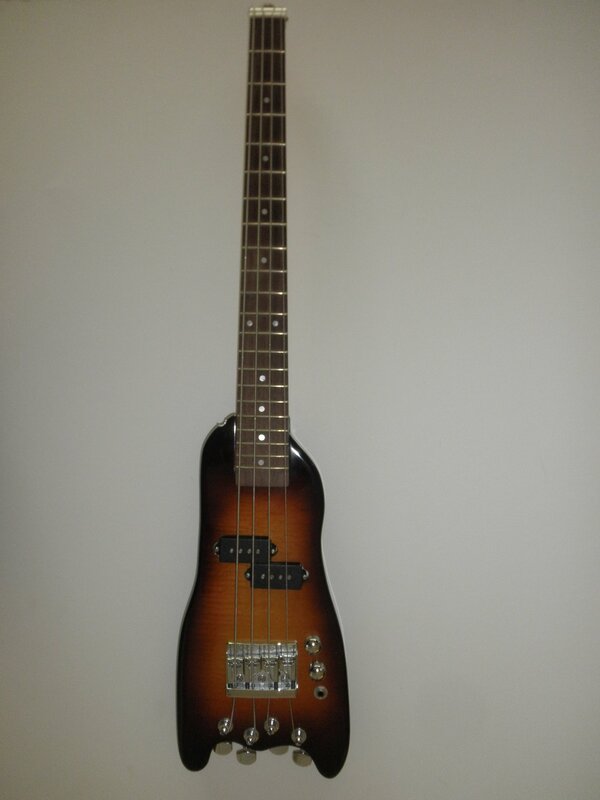 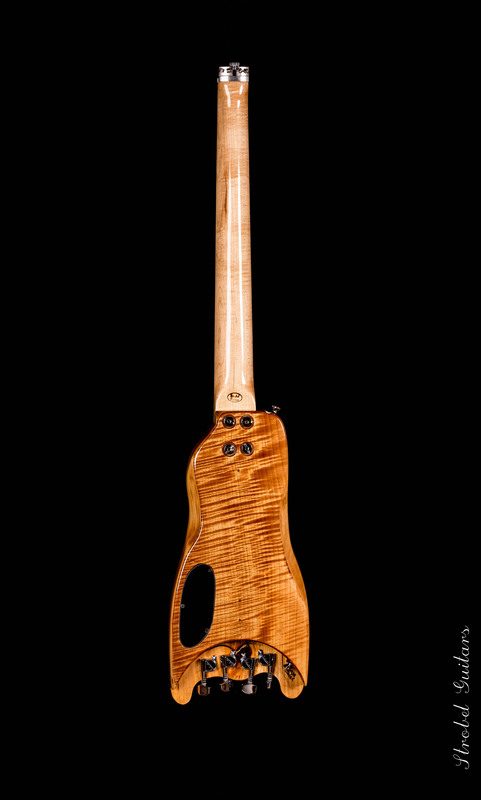 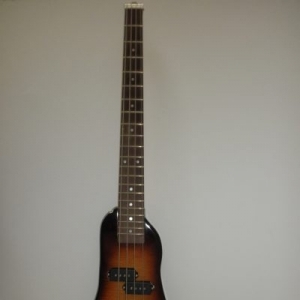 It is also available as a Fretless model, and can be ordered with an optional Fretless neck. 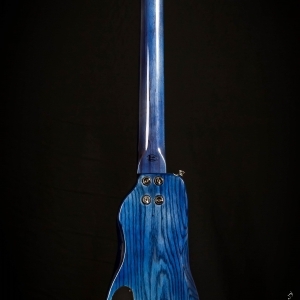 We offer Schaller PBX pick ups, Schaller 3-D4 fully adjustable roller bridge and Schaller custom tuning machines. 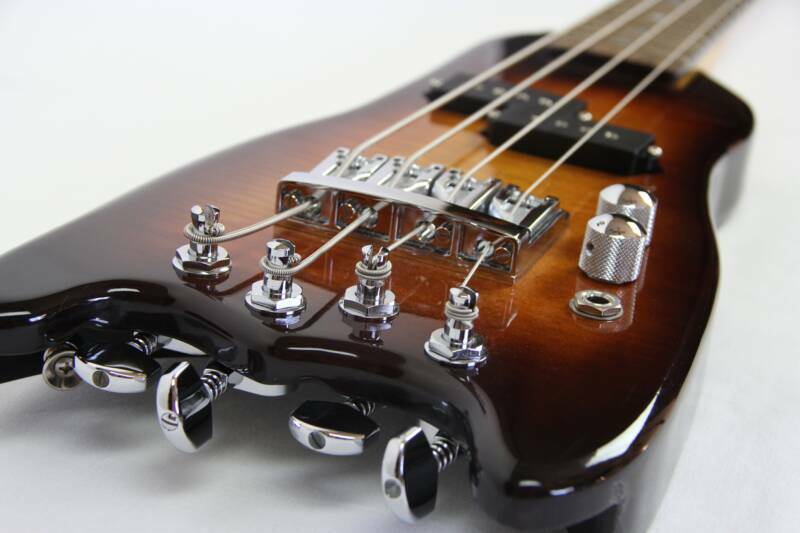 The Rambler® comes with a removable StringKeeper™ for fast assembly and a StringCatcher™ to protect the finish when the strings are wrapped around the body. 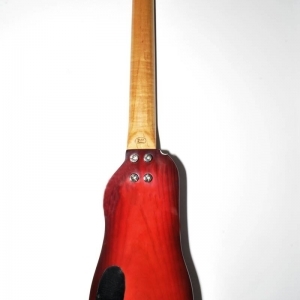 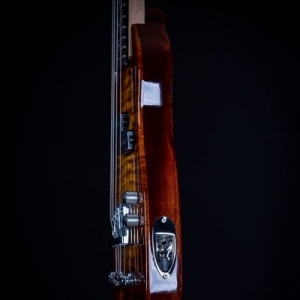 The neck has 21 medium jumbo frets, a double action truss rod and an adjustable nut. 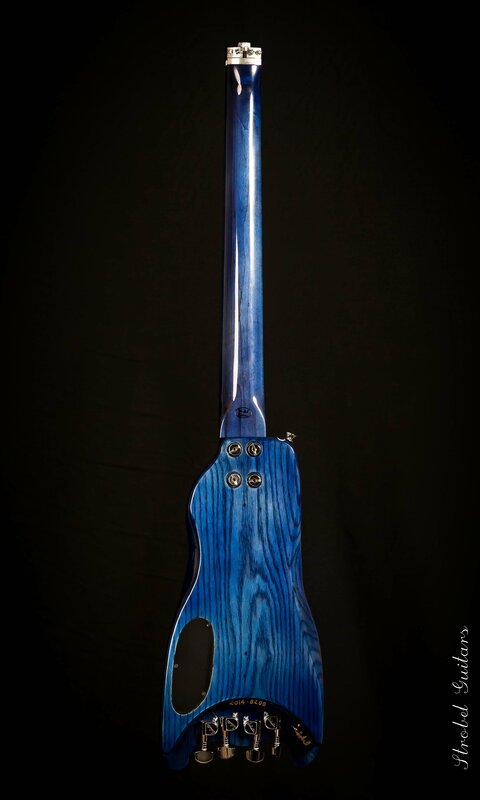 Custom guitars are finished in Nitrocellulose lacquer with your choice of color, and offer personalized neck shaping with your initials inlaid in the fretboard. 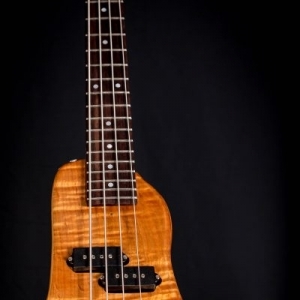 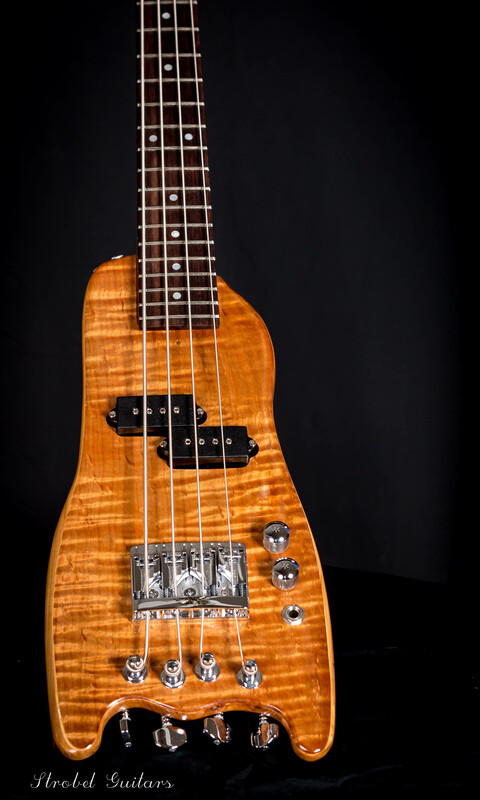 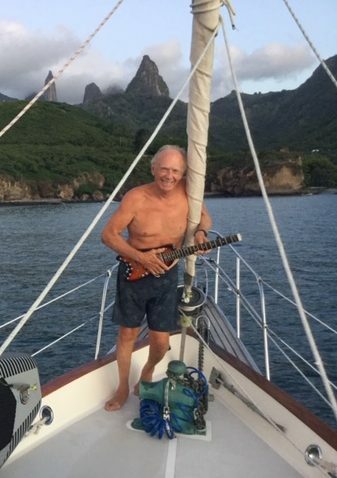 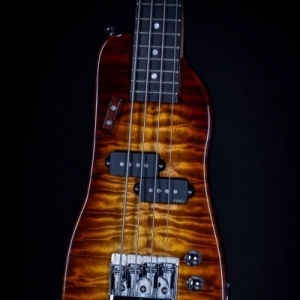 When ordering a custom Rambler® Portable Bass Guitar, you select the wood for the body – typically Swamp Ash or Honduran Mahogany with a Flamey Maple top. 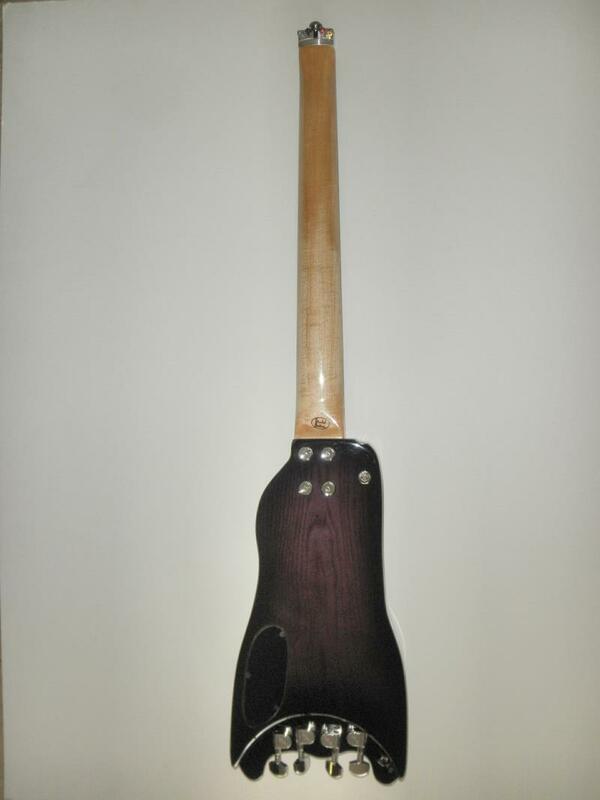 Available neck woods include Maple or Mahogany with your choice of Pau Ferro, Ebony or Rosewood fretboard. 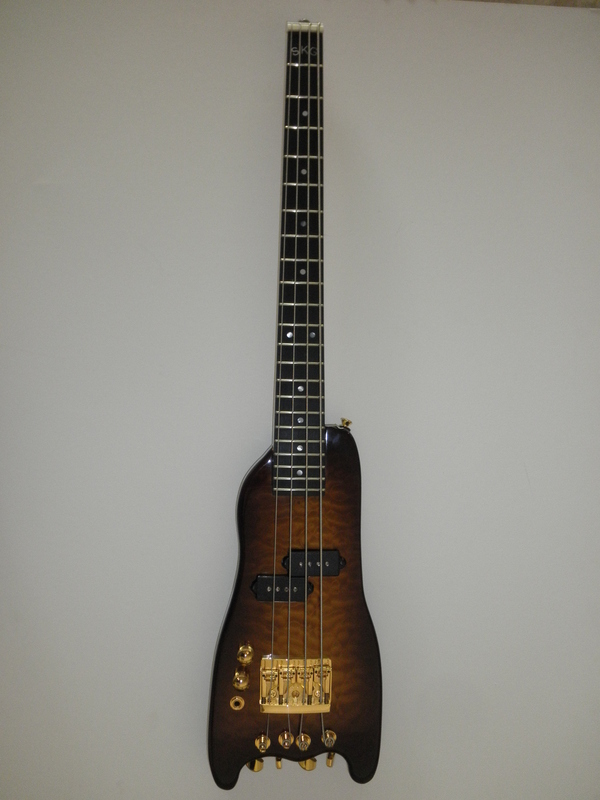 The Strobel Rambler® Custom Travel Bass starts at $1599 with a 50% deposit due at time of order. 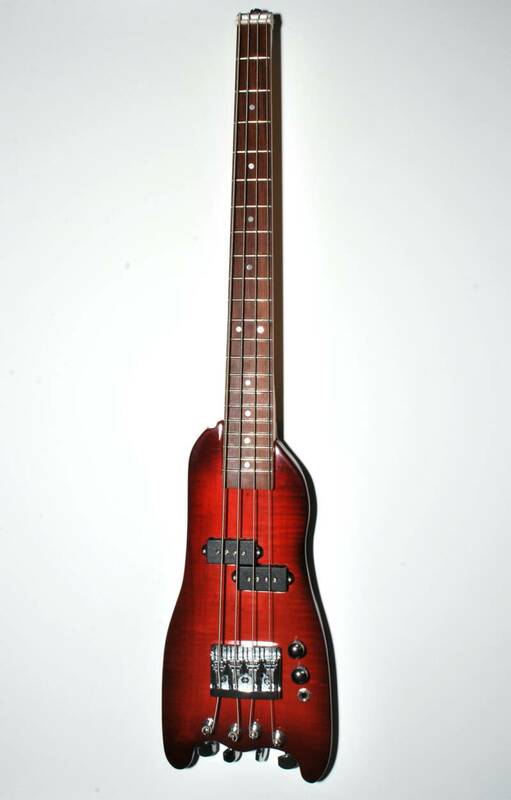 Weight between 4 – 5 lbs.